We had a bad trip with one of these guys at Queenstown airport. Every other time I have been in NZ, they accepted I knew what I was doing, had cleaned my gear properly, had only proper hiking food (no dangerous, illegal imports etc), but this time we encountered a Pommie import who had not worked out that the colonies were long since independent. He went through all our stuff with a fine-toothed comb such that we nearly missed our hire car (they closed at 5:00 pm, and this guy delayed us for an HOUR!. Eventually he confiscated Della’s delicious home-dried Spag Bol and Cottage Pie (no ‘country of origin labelling and barcode! Even though I told him I was going to EAT it for goodness’ sake!) We will have to fix THAT up in future. Immediately we were free of the nazi (and had a car) we were forced to hie us around all the supermarkets to see what subs we could come up with for FOUR delicious dinners! It really takes the edge off your trip if you have to eat those awful ‘Backcountry Meals’ this Nazi must have had shares in. Mostly even our dogs won’t touch them! 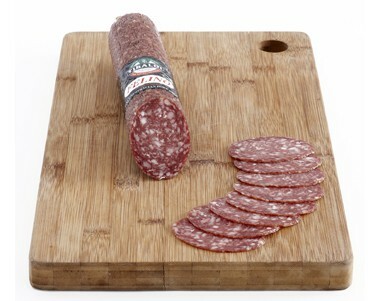 I will be posting more about delicious meals which can be made from common supermarket items – with which in mind, NB that delicatessen salami (having been properly smoked/salted) is marked ‘keep in a cool dry place ie does not need REFRIGERATION (eg Tibaldi ‘Felino’ salami : http://www.tibaldi.com.au/products/salami-range/ . It should be included therefore (along with sachet tuna, Chinese sausage and Kraft cheese) as an addition to the ‘meat’ component of otherwise often bland dehydrated meals.